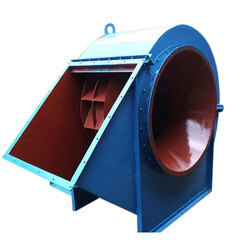 We are a remarkable enterprise, involved in offering superior quality Axial Fan Casing. 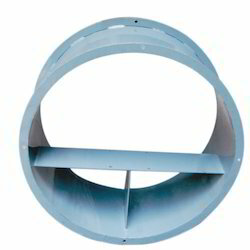 For many ventilation applications a small fan is mounted in a duct system. The designs D and W (DD and WD with inlet cone for free inlet) are used for that. They have a short fan casing with the motor partly outside the casing. We are the manufacturer and supplier of Fan Casings . Our clients can avail from us an impeccable range of Fan Casings. Manufactured using finest quality material, these casings find applications in various industries and residential places. We customize these reasonably priced products as per the specifications detailed by esteemed customers. To meet the variegated demands of the clients, our company is instrumental in offering excellent quality range of Fan Casing. Reckoned amid one of the credible market names, we are willingly engaged in offering to our patrons 12CM Fan Casing. We are a most trusted name among the topmost companies in this business, indulged in offering Fan Casing. Our sophisticated Industrial Fan Casings are manufactured using qualitative raw material including iron, aluminum, copper and a lot more as per the requirement of the industry. Kumaran has more than 30 critical and precise components for 'Kaveri' engine. These include compressor casing, Bypass casing, Cooling rings and rotating major components like compressor shaft and turbine blades. Our sophisticated fan casings are manufactured using qualitative raw material including iron, aluminum, copper and a lot more as per the requirement of the industry.